Cincinnati has added about 1,000 new people since the decennial census in 2010, according to new estimates released by the U.S. Census Bureau. The modest increase comes from two consecutive years of population gains that followed an immediate downward revision after the 2010 Census. The increase also means that just Cincinnati, Columbus and Dayton were the only big cities (more than 50,000 people) in Ohio to post gains. Columbus and Cincinnati, meanwhile, were the only big cities to post population gains for the past two years. The population estimates are derived using the 2010 Census as a baseline and then factoring in new permitted residential construction and mobile homes, and subtracting out the estimated number of homes lost each year. As a result, all of the annual estimates should come with a grain of salt. 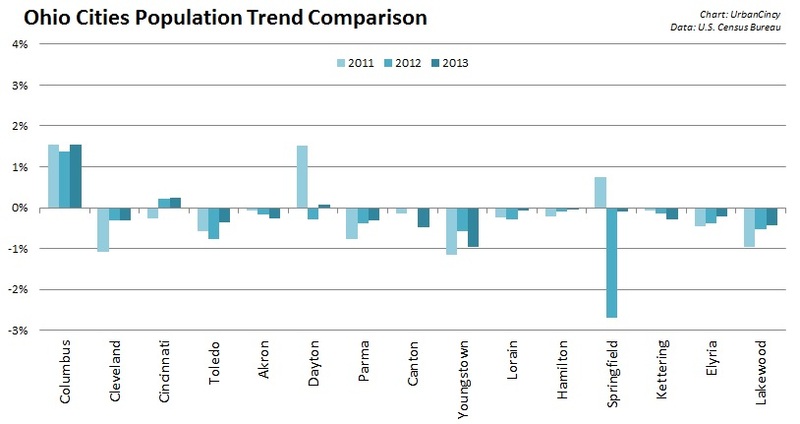 With that said, Dayton’s population gains appear to be an anomaly, while the increases in Columbus and Cincinnati appear to be more rooted. In any case, the news for Ohio’s big cities is not good as the rest all lost population, especially those in the northeastern part of the state. Columbus continues to stand out from the rest of Ohio’s big cities in terms of its population trends. In this latest estimate release, Columbus posted the fifteenth largest numeric population gain of any municipality in America; and it comes on the heels of equally impressive gains in prior years. Some observers, however, would attribute some of the gains in Columbus to its unusually large municipal boundaries that include what would be far suburbs in other Ohio regions. While Columbus has been growing by about 1.5% annually over the past several years, Cincinnati has been growing annually by about 0.25%. When compared with other peer cities, Cincinnati’s gains look even more tepid. Of fifteen other cities competitive with Cincinnati, the city bested only five of them in terms of population growth, while being significantly outperformed by most all others. In this comparison, even Ohio’s best performer – Columbus –fares only reasonably well against the field. For Cincinnati’s peer cities, national trends appear to hold true. 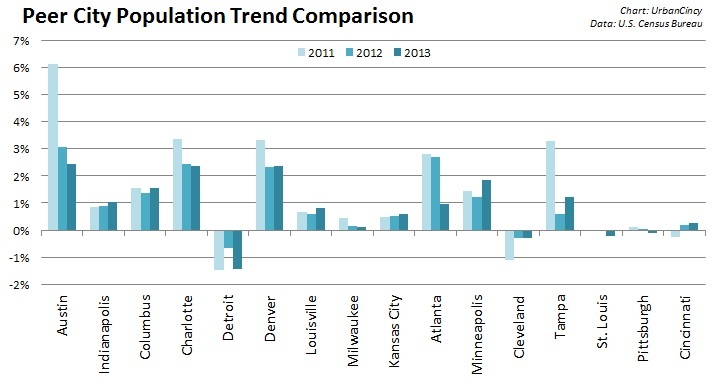 Southern cities continue to grow at the fastest clip, but their growth rates are leveling off. In our comparison, Austin, Atlanta and Tampa have all experienced significant declines in annual population growth since the 2010 Census. Charlotte has also experienced a similar trend, but appears to be holding steady more so than its Sun Belt peers. Meanwhile, while many Midwestern cities continue to lose population, they are doing so at a slower rate or have stopped the losses entirely. As we previously examined on UrbanCincy, the Cincinnati region continues to grow by about 0.4% annually. 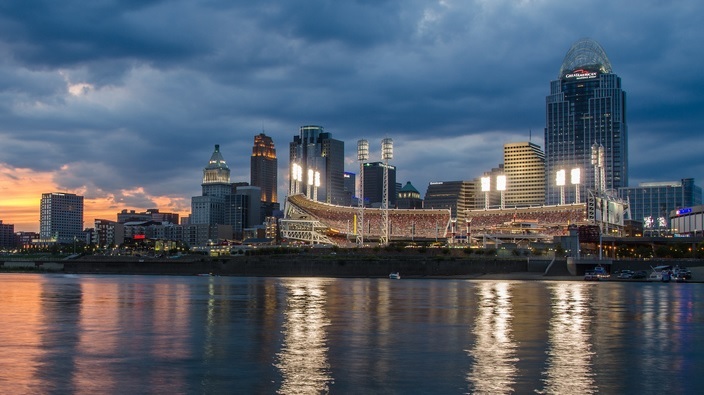 The City of Cincinnati’s 2013 gain represents approximately 12.5% of the total regional population growth, and half of Hamilton County’s increase last year. In a nutshell, Cincinnati is over performing regionally, but under performing amongst its peers. If Cincinnati were growing as fast as Charlotte or Austin, the city would be adding around 9,000 new people every year.